Band to Join, Vocalist, Vocalist - Baritone, Vocalist - Tenor, Vocalist - Soprano, Rhythm Guitar, Lead Guitar, Trumpet, Saxophone, Keyboard, Background Singer. I am a bassist who has 15 years experience gigging in NYC, and have been writing music for 20+ years. Love to really dig in and play soulful and melodic bass lines. 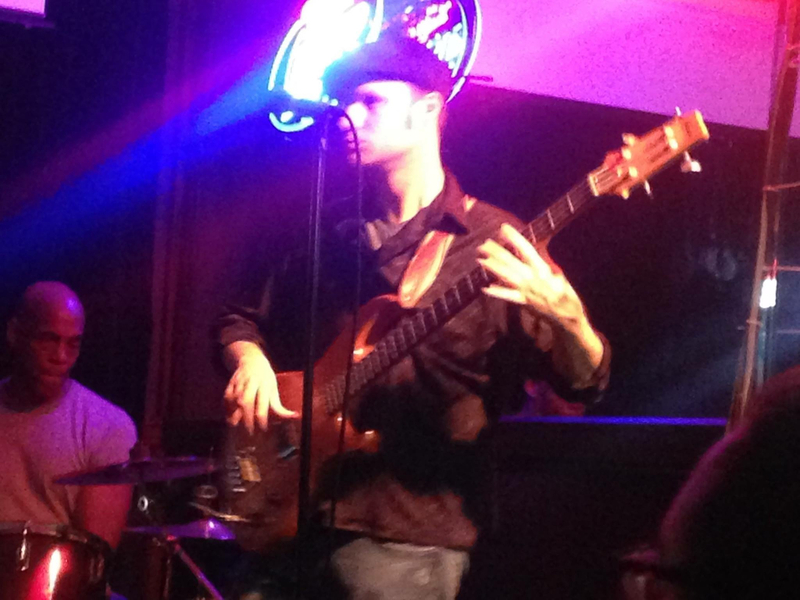 Love playing funk, soul, jazz-funk-fusion, classic rock, blues, etc. Mainly looking for an original project but open to anything. Welcome To the Matrix - Live at Rockwood Music Hall 10-13-2017This is another new original tune from our EP Release Party at Rockwood in October of 2017. This song and No Limits the musical direction we are going in with our new material. No Limits - Live at Rockwood Music Hall 10-13-2017Here is a newer tune from Orange Burn, called "No Limits" recorded live at our EP Release Party on October 13, 2017. This has a very hard, direct funk feel to it, with a riff and hook that hits you directly. Cool Stuff HereThis is a completely instrumental tune by Orange Burn. When seeing the band live, they also do a couple instrumental tunes along with their full band vocal compositions. Listening to this song, you can really hear a lot of the bands influences (which are diverse!). You can hear a little James Brown, Jaco Pastorius, Orgone, The Meters, Herbie Hancock, and hopefully a whole lot of Orange Burn! This is almost always the bands opener when playing live. Composed and Arranged by Orange Burn. All Rights Reserved, Orange Burn 2017. I'll GoThis song shows the varying influences of Orange Burn. Starting off with guitar and then melodic bass, keys, drums and percussion, this starts off as a more relaxed song with beautiful soaring vocal melodies and harmonies. Before you know it though the song has an extended ending with an almost choir like vocal that stays in your head forever! Ending with a bass solo, this song definitely shows the more epic side of Orange Burn. Composed and Arranged by Orange Burn. All Rights Reserved, Orange Burn 2017. Love MeThis is the most rock track on the new EP (orangeburn.bandcamp.com). This has a nasty groove and great vocals, shows the bluesy side of the band, but the funk is still there! Composed and Arranged by Orange Burn. All Rights Reserved, Orange Burn 2017. Testify [Current Single]This is one of the first tunes that we put together. This is a fan favorite when played live, audiences love getting into the chorus at the end, always clapping along! The groove is addictive. Composed and Arranged by Orange Burn. All Rights Reserved, Orange Burn 2017. For Too Long [First Single]The first single off of our new EP! This was a song composed by Shilan Douglas in 2015 and she presented it to the band right when she joined the band. This shows another side of the band, mixing R&B, Gospel, neosoul with Orange Burn's patented funk grooves. One thing that's great about this song is with everything going on, the chorus just really stays in your head and sends a positive vibe. Composed by Shilan Douglas, Arranged by Orange Burn. All Rights Reserved, Orange Burn 2017.